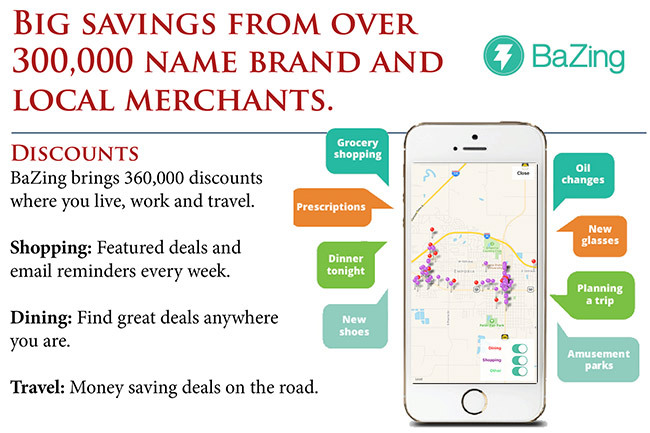 BaZing Checking combines everyday checking with the savings you deserve and benefits you will use. ¹Cell phone protection and personal identity theft benefit are subject to additional terms and conditions. Visit a banking center for a full list of terms and conditions. Terms and Conditions also available when you sign into your account at www.BaZing.com. ²Insurance products are: NOT A DEPOSIT, NOT FDIC-INSURED, NOT INSURED BY ANY FEDERAL GOVERNMENT AGENCY AND NOT GUARANTEED BY THE BANK.